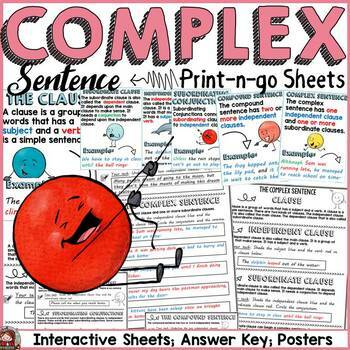 Use these print-n-go sheets and poster set to target differentiation and teach your students all about Complex Sentences. 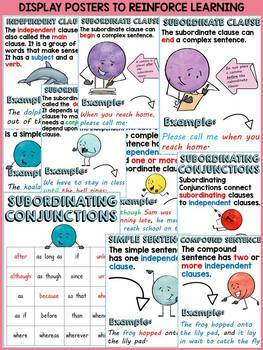 ✅ 10 posters/anchor charts featuring a definition and explanation of the independent clause, subordinate clause, subordinating conjunctions, simple sentence, compound sentence and the complex sentence. 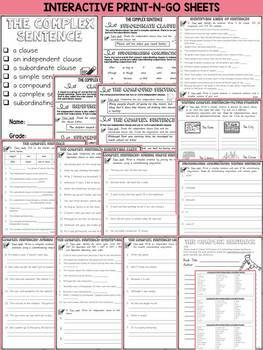 3 sheets on the definitions of a clause, independent clause, subordinate clause, subordinating conjunctions, simple sentence, compound sentence and the complex sentence, all with practice examples. 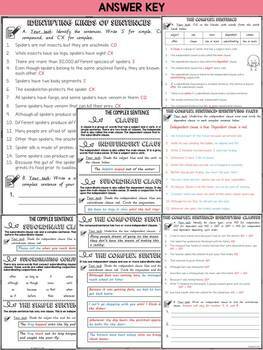 Writing sample complex sentences from a favorite book of choice.